Right To Play is proud to welcome two new athlete ambassadors. 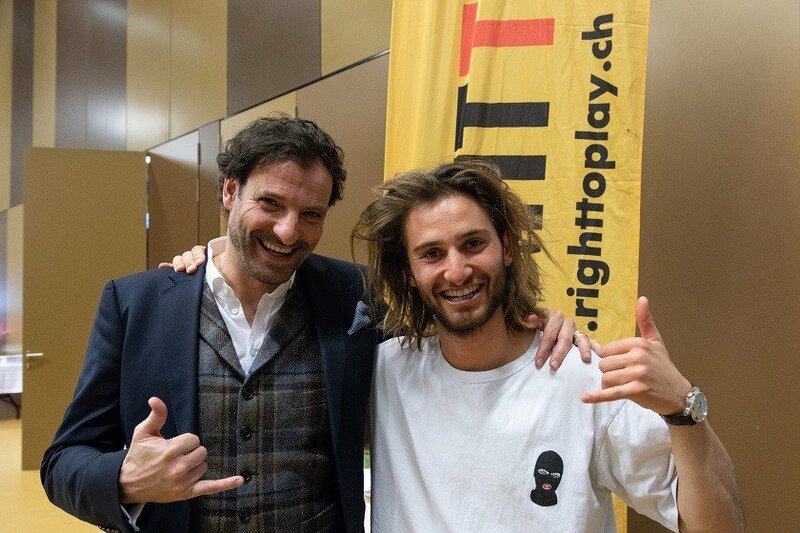 The former handball player Carlos Lima and the snowboarder Pat Burgener represented the organization for the first time at the Charity Night in Verbier. Both are very excited about Right To Play's sport- and play programs and as top international athletes, they know first-hand the importance that sport and play have had on their own lives. Carlos, a 181 time Swiss international and Swiss, German and Spanish champion during his career is today a successful entrepreneur. "Sport and play have been of the utmost importance to me. I found my way in society through sport," says Carlos. Pat Burgener finished fifth in the half pipe event at the Olympic Games this winter. He is a winner on the FIS Snowboard Tour and a medalist from the World Championships, but he is also making a career as a singer- songwriter. "I have been given as a kid, the chance to practice several different activities like sports and music. This opportunity allowed me to discover my passions, which would quickly become my whole life. I really want every kids on this planet to be granted the same right"
Welcome to the Right To Play family Carlos and Pat! We are grateful for your support and looking forward to exciting times together.